The advent of cloud technology has helped many labs to automate by easily migrating their data saved in the form of old paper notebooks and spreadsheets. 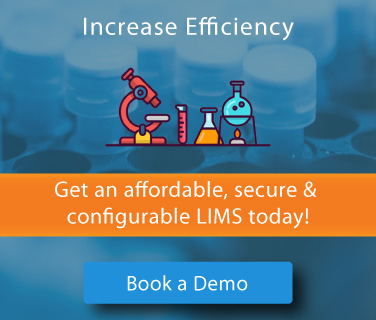 Cloud Technology not only helped labs to streamline lab operations and save resources, but also paved the way for offering personalized LIMS services on demand guaranteeing maximum user satisfaction. 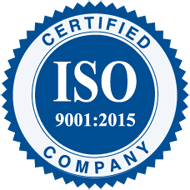 This white paper underlines the evolution of LIMS, different types of LIMS architecture, cloud technology and deployment models, benefits and risks of cloud computing, and how SaaS models leverage cloud technology to maximize Return on Investment (ROI) by minimizing Total Cost of Ownership (TCO). 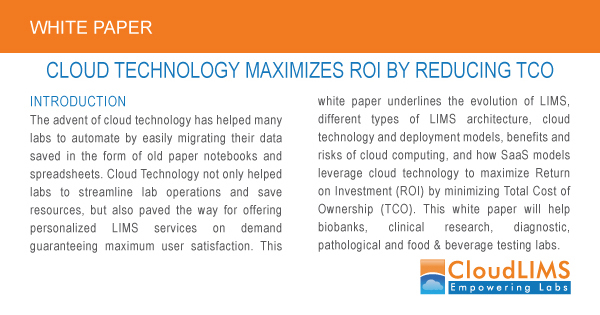 This white paper will help biobanks, clinical research, diagnostic, pathological and food & beverage testing labs to become familiar with the concept of Cloud Technology and realize the benefits of an affordable LIMS solution.